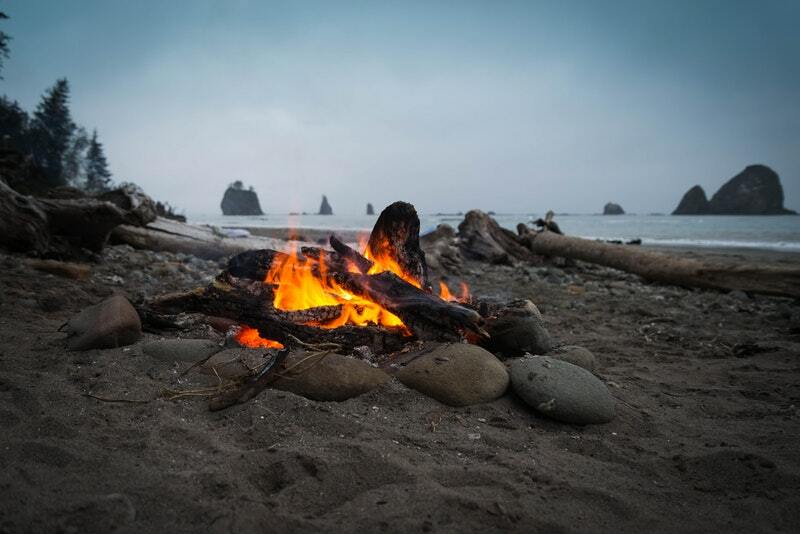 Beaches are some of the beautiful and relaxing places in this world where we’re able to unwind and feel free, and having a bonfire at the beach at night adds an element of romance. 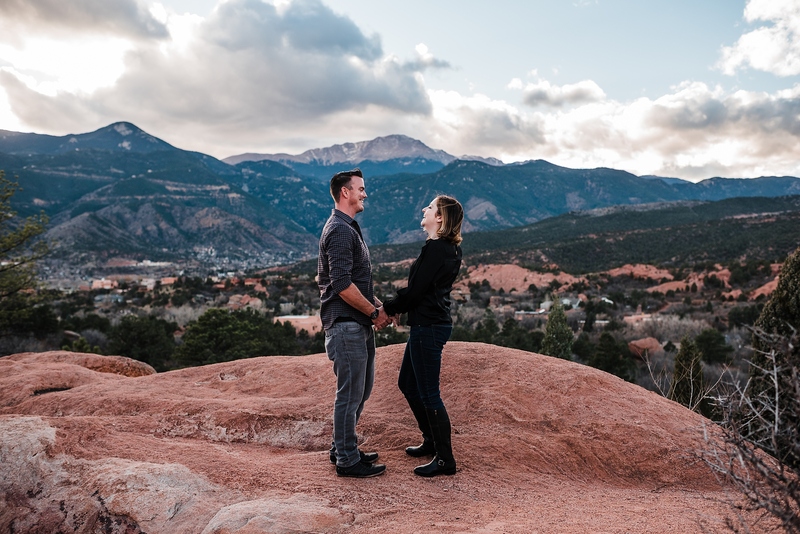 Bring some wine and cheese, and when you’re ready, be brave and pop the question! Getting away for the weekend with just the two of you is always memorable. Plan a weekend getaway with activities, incredible food, and fun. You can plan a romantic dinner at a restaurant and have arrange for the ring to be brought out at the end of the night. Just be sure you’re likely going to get a “yes”, because if your partner says “no”, it can get very awkward very fast. 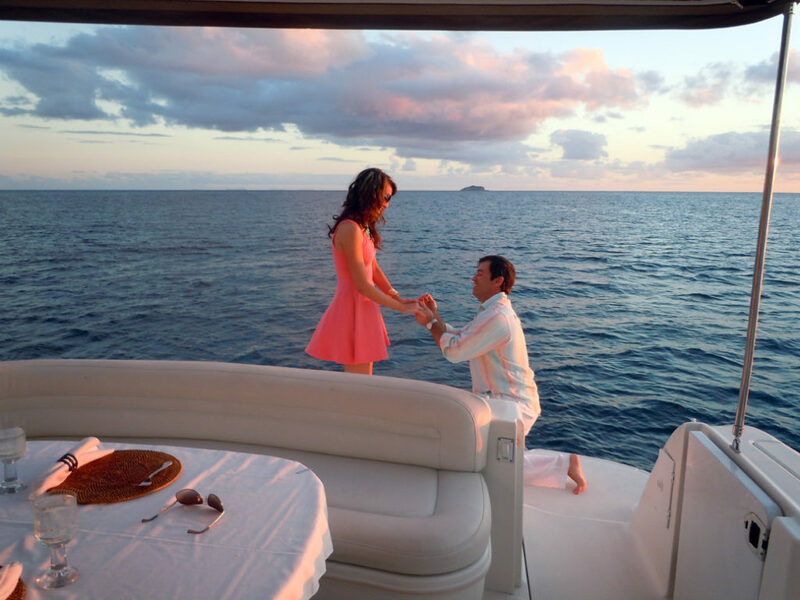 Why not rent out a boat for the day and take your partner out on the water (whether it be a lake or ocean) and propose there? It will be beautifully scenic, and you can make a whole day of it so that the memory is truly special. Cook dinner, have some wine, and watch the sun set. Everything is better on a boat. And if you don’t want to rent a big boat (or can’t afford it), you can always take out a canoe on the water together. Send your partner away for the day by booking them some alone time at the spa or giving them money to get a manicure/pedicure. While they’re gone, place flower petals along the floor of your house or apartment, leading to a romantic spot. Be there waiting for them and be ready with your question! Find a location that’s high up and overlooking your city. Take your partner up there for a picnic or just stargazing at night. You’ll be overlooking the beautiful city lights as well as seeing the stars up high. When the time is right, ask away! Hopefully where you first met wasn’t at too awkward of a location. Take your partner to where you first met and plan a proposal around that. Bonus points if you’re able to use the same seats! 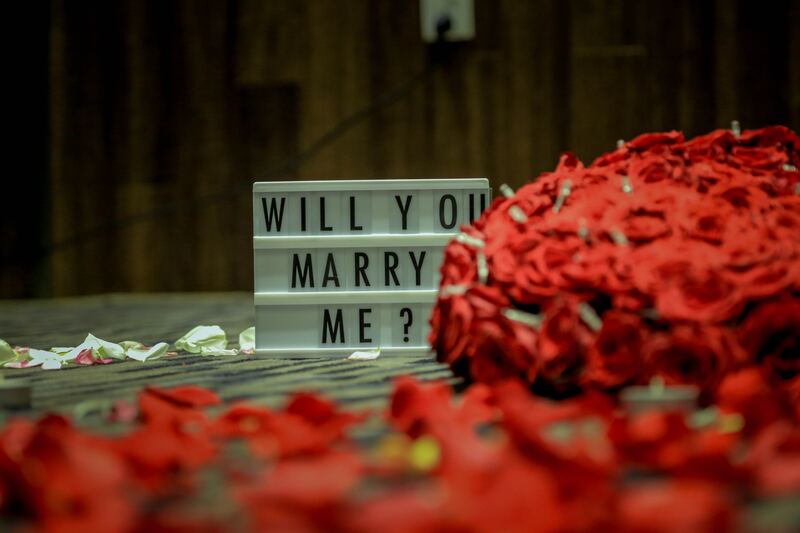 Try and have some fun with your marriage proposal! You’re bound to be a little nervous, but the important thing is to speak with your heart. There are so many great marriage proposal ideas. It’s always ideal if you’re able to incorporate something your partner loves. For example, if they enjoy sports, you could always try the marriage proposal at a sporting event. There’s also always the partners that want their say in how the proposal goes. Whatever you decide, have fun and good luck.